Please registrate your appointment in the office before! Christine Binzel has recently joined the Institute of Economics at Friedrich-Alexander-Universität Erlangen-Nürnberg (FAU) as a Professor of Economics, focusing on the Economy and Society of the Middle East. She studied economics at Hamburg University, Aarhus University, and Paris I Panthéon-Sorbonne, and received her PhD in economics from Humboldt University of Berlin in 2010. 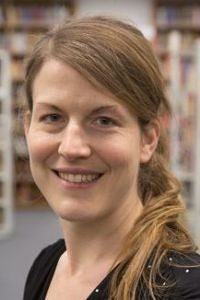 After a one-year appointment as visiting assistant professor at Dartmouth College in 2010/2011, she joined Heidelberg University as a postdoctoral researcher. During this time, she was a visiting scholar at Harvard Kennedy School (2012) and at UC Berkeley (2014). Her research interests are in the fields of development economics, applied microeconomics, and behavioral economics, with a particular focus on the Middle East and North Africa. She is a member of the Research Committee on Development Economics of the German Economic Association, AALIMS (Association for Analytic Learning about Islam and Muslim Societies) Faculty Fellow, CEPR (Centre for Economic Policy Research) Research Affiliate and IZA (Institute of Labor Economics) Research Fellow. Her research has been published in leading economic journals, such as The Economic Journal and the Journal of Development Economics.